It is no secret that digital solutions have taken construction by storm in the course of the last decade. This phenomenon is the outcome of many different reasons, such as the increased perplexity of building projects and the remarkable technological progress that has been observed. Despite this substantial paradigm shift for the sector, there are still many who underestimate the contribution of digital tools to this day. Rather than referring to digital solutions as an unnecessary luxury, it is time that we see it as a solid asset for every stage of the construction process. As we mentioned above, the complexity of building projects has played a critical role in the increasing adoption of digital solutions in the sector. Simply put, there are many gigantic projects across the world which require constant monitoring and real-time coordination between numerous teams. Digital tools can be a valuable ally in this effort and boost transparency and accountability during the entire process. On top of that, a reliable software can accelerate the progress of the project and make it possible for everybody to stay up-to-date with the latest changes. In other words, digital tools can empower the connection between the construction site and the office regardless of the project’s size. 2. Data, Data And More Data! We are living in the era of data explosion. It is no coincidence that The Economist referred recently to data as the most valuable resource in the planet. Predictive data can help the industry collect essential knowledge about the way we design, schedule and operate. As a result, these bits of information can bring us one step closer to a more efficient and productive future for the construction industry. It doesn’t take much to understand, then, that digital tools can really turn things around for construction thanks to the generation, collection and analysis of industry-related data. We are talking, then, for the creation of a data library which can function as the basis for construction development. Being able to connect with other construction agents in real-time is powerful. It can have a great impact on how efficient people on site are and can also contribute to the better communication between the numerous project parties. This is a parameter of immense significance in the course of a building project. Moreover, better collaboration signifies fewer reworks and delays. In that sense, digital tools are correctly seen as a solid business investment which could save you a great amount of time and money. By establishing stronger communication channels, you can feel confident that everybody in the project is at the same page and that any type of problems are addressed on time and before they start becoming threatening for the smooth development of the project. Lastly, real-time collaboration could improve the way the different project members connect and coordinate. As a consequence, improved relationships between the various stakeholders can add to a project this extra fuel which will eventually lead to its success. Being able to report directly from the field is another powerful reason why digital tools are becoming so popular in construction. Mobile field reporting allows the faster completion of ongoing tasks and the elimination of misunderstandings. Just by using their mobile phone, site personnel can now submit real-time updates and even share photos from the field with other members of the team. This will eventually pave the way for immediate action and will contribute drastically to increasing the quality of the job done on site. 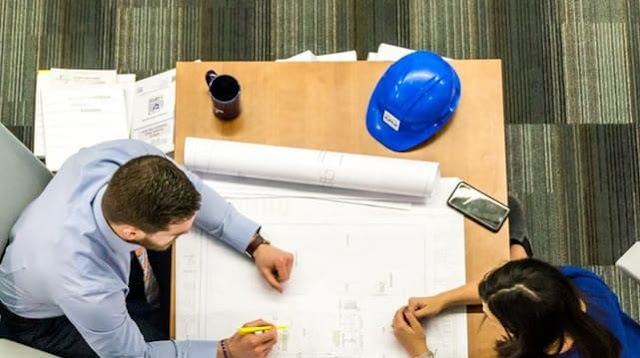 What is more, the ability of project agents to connect and report from the field in real-time would lead to fewer meetings and more free time for the project managers and on-site personnel in order for them to be creative and focus on what really matters during the construction process. It is no exaggeration to claim that we have entered the era of data. In that sense, every construction manager needs tools which can both collect project data and share it successfully through other systems that project teams are using. This would substantially decrease the amount of time needed for the different bits of information to be transferred from one team member to the other. In the long term, integrations could result in remarkable cost and time savings. On top of that, having a particular software as your digital backbone can simplify to great extent the training process for your team. That’s because there will simply be no need for learning new tools completely from scratch. In other words, it will be easier for them to navigate through software tools and processes. So it becomes evident that Integrations have already acquired an integral role in today’s digital ecosystem because they make life easier for those who are benefited by them. To sum up, it is safe to say that we are heading toward a smarter era in construction and construction technology. The combination of software and cutting-edge hardware will lead to a more automated and agile building process where the importance of data will be fundamental. That being said, it is of critical importance for the different innovative players in the building sector to heavily invest in boosting digital adoption. About the author: Anastasios Koutsogiannis is Content Marketing Manager at GenieBelt, a real-time construction management software and mobile app. I hope you enjoyed this article about how digital solutions and integrations are taking the construction industry to the next level. Interested in more articles about the construction business industry? - Don't Cut Corners In Construction!